With a current population of approximately 10 million, the Hui are the 2nd most populous of China’s 55 ethnic minorities. Although following Islam is not necessarily a criterion for being Hui, this ethnic group is largely made up of Muslims and this is part of what makes them so unique. They are spread throughout China, with the largest concentration in Ningxia Hui Autonomous Region and several sizeable communities in the provinces of Gansu, Qinghai, Xinjiang, Yunnan, Shandong, and Shaanxi. While all of them speak Chinese, some of them have retained the ability to speak Arabic and use it predominantly during religious activities. After all, being fluent in two of the world’s most notoriously difficult languages has to have its advantages! Unlike several of China’s other ethnic minorities, the Hui bear great resemblance to the Han majority. In fact, very little separates the two ethnic groups besides the Hui’s religious beliefs. 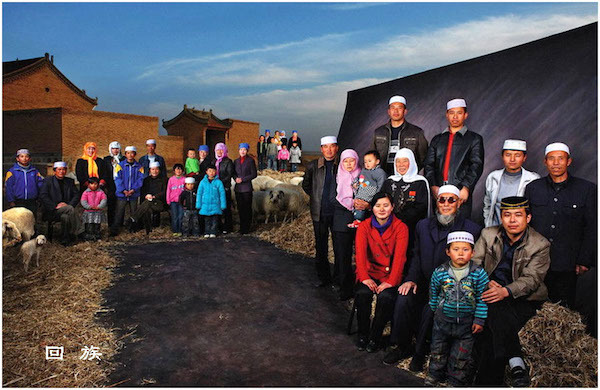 For example, Hui people conform to Islamic dietary laws and will not eat pork, which is the most popular meat in China. However their appearance and dress does not differ hugely from their Han counterparts, which begs the question; what makes them so different from Chinese Muslims? The answer lies in their illustrious past as traders and military men. The term “Hui” comes from their original name of “Huihui”, which was used during the Ming (1368-1644) and Qing (1644-1912) dynasties. It is thought to originate from the early term “Huihe” or “Huihu”, which was used during the 8th and 9th century to describe anyone from the western Uyghur State. 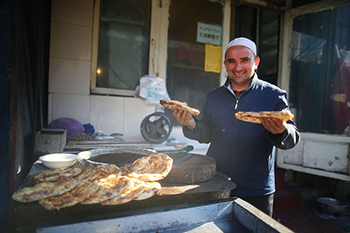 Though these Uyghurs were not exclusively Muslim and are not directly related to modern-day Uyghur or Hui people, the term “Huihui” was applied to any foreigner who came from the west. Thus the Hui people have a direct link not to China but to Central Asia. They have a varied ancestry that includes Arab, Persian, Mongol, Turkic and other Central Asian ancestors and their origins can be traced back in two ways. Some Hui people descended from Arab and Persian traders, who arrived in China via the Silk Road during the Tang Dynasty (618-907). Around the 7th century, some of them eventually settled in cities such as Guangzhou, Quanzhou, Hangzhou, Yangzhou and Chang’an (modern-day Xi’an) and were referred to as “fanke” or “guests from outlying regions”. Wherever they settled, they built mosques and public cemeteries. Over time they intermarried with Han people and converted their partners to Islam but largely assimilated with Chinese culture. Other Hui communities, such as those in Yunnan and northwest China, trace their origins back to Mongol, Turkic and other Central Asian settlers who arrived in China during the 13th century. When the Mongols undertook their western expeditions during the Yuan Dynasty (1271-1368), they drafted in large groups of Islamic peoples from Central Asia. The aim was for these people to settle as scouts in parts of western China and act as livestock breeders until they were needed for military purposes. We don’t know exactly how the ability to raise a cow would benefit their skill as soldiers, but perhaps that’s a moo-t point. They were also allowed to build mosques and they came to form an aristocratic class directly under the Mongol rulers known as the “Semu”. Thus they had a profound influence on military, political, and social affairs during the Yuan Dynasty. However, in spite of their new found power, many imperial laws prevented these Muslims from practising several Islamic customs, such as the eating of halal meat. This lack of religious freedoms eventually prompted several Hui people to turn on the Mongols and ally with the Ming Dynasty. In fact, it wasn’t until the Ming Dynasty that the Hui people were even recognised as a distinct ethnic group! Nowadays Hui people live in large, exclusively Muslim communities that usually surround a mosque. This can be anything from villages to streets or whole quarters in major cities. They normally have both a Chinese name and an Arabic name, although they predominantly use their Chinese names. In spite of being religious people in a largely secular country, they have been widely accepted since 1949 and there is even a Hui Culture Museum in Yinchuan City, Ningxia.